The OMNIKEY® 5427 CK is available in two product variants. The OMNIKEY® 5427 CK standard reader is the ultimate choice to support a broad variety of low and high frequency credentials such as iCLASS Seos®, iCLASS SE®, iCLASS®, MIFARE®, Indala Prox, and HID Prox. 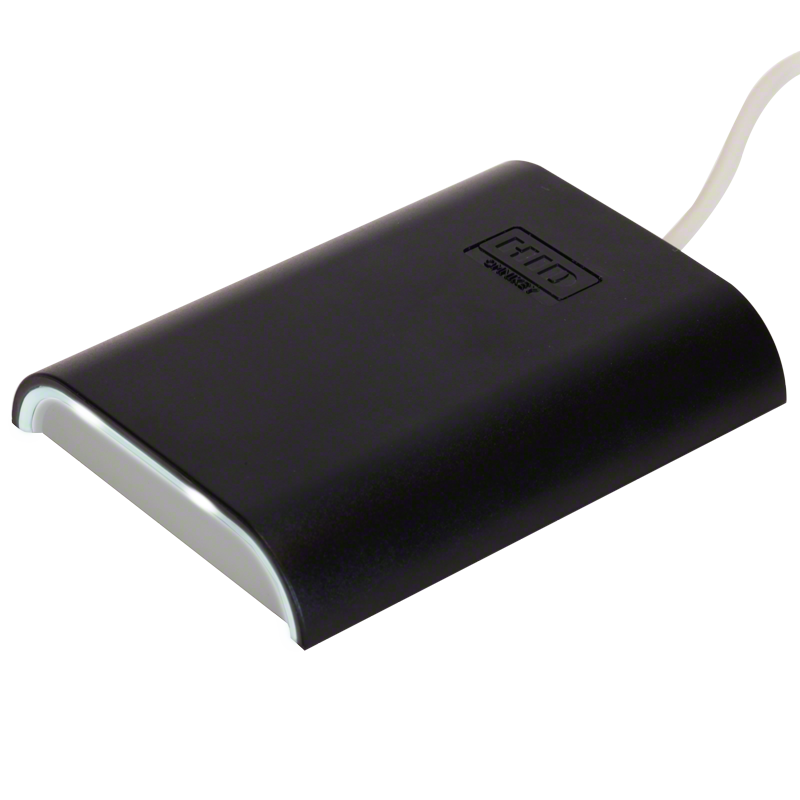 In addition, the OMNIKEY® 5427 CK with Bluetooth interface allows customers to leverage their mobile access credentials to access computer, network or cloud by using their mobile phone. Based on CCID interface, the OMNIKEY® 5427CK can be integrated without the need to install or maintain drivers. This eliminates complex software lifecycle management issues in the field and accelerates time to market. With the keyboard wedge functionality, customers can retrieve data from a card that is presented to the reader and directly input the card data into an application using keystroke emulation. This eliminates the need for them to manually enter the card data into an application. The reader includes an integrated, easy-to-use web-based management tool that enables intuitive browser-based configuration with no need for training. Supporting low and high frequency credentials as well as HID Mobile Access Solutions via Bluetooth and NFC within a single product, the OMNIKEY 5427CK reader enables seamless migration in mixed technology environments. Supports Seos and Part of the iCLASS SE Platform - Provides multi-layered security that extends beyond the card technology, providing additional protection to identity data. Keyboard Wedge support - Retrieves data from a card and presents the information directly to any application by emulating keyboard strokes.